- Numerous studies suggest a sedentary lifestyle can lead to an increase of severe health conditions such as heart disease, high blood pressure and obesity. The best solution to prevent the negative side effects of sitting all day: active sitting. Cubii helps you stay in constant motion throughout the day even while sitting. Workout anywhere, anytime. No gym required. - According to the Mayo Clinic, your body goes into ‘storage mode’ when you sit for prolonged periods of time. The solution for a sedentary lifestyle is more overall activity. Cubii is the only NEAT Certified under desk elliptical by the Mayo Clinic for active sitting. When compared to sitting stationary for 20 minutes, standing only increases energy expenditure by only 13% and Cubii increases your energy expenditure by 84.5%. 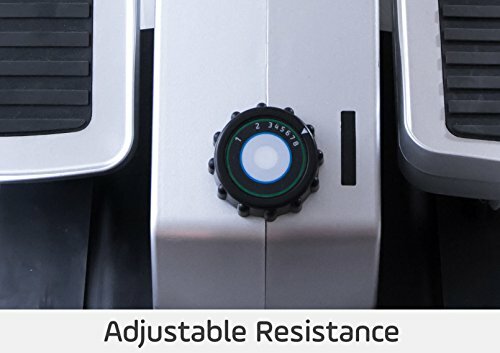 - As the only bluetooth enabled elliptical on the market, track your Cubii activity with our mobile app. Our exclusive app tracks calories, strides, miles and active minutes. Challenge yourself by setting daily calorie and distance goals. Compete with Cubii-ers around the world in our global group or create your own group to compete with family, friends and co-workers. Sync your workouts to FitBit and GO BEYOND 10,000 steps. With a movement towards connected health and tracking your exercise, we provide users with an actual source of exercise while letting them stay plugged into the connected fitness ecosystem. 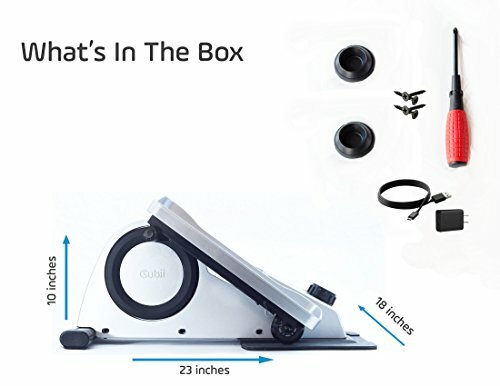 - Designed specifically for use while sitting, Cubii’s patent-pending elliptical angles are optimized to ensure an ergonomic posture and unconscious motion while in use. Cubii’s range of motion is less than a bike resulting in a low impact exercise that’s easy on the knees. 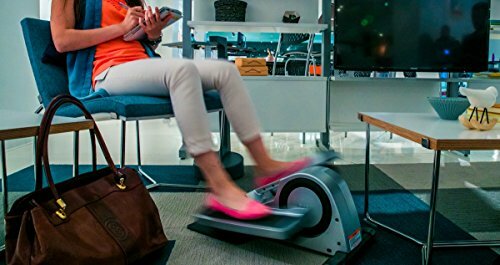 Benefits of an under desk elliptical vs under desk bike include burning 25% more calories and a more comfortable riding position. - Exercise in your home or office without breaking a sweat. Cubii is not motorized which allows you to control your speed and rotations per minute (RPM). Personalize your workout by selecting from 8 different resistance levels. - Cubii allows you to burn an additional 150 calories per hour (varies by RPM and resistance level). That’s 120% more calories than just sitting and 87% more calories than standing. Cubii’s ergonomic design let’s you go beyond the calories to help improve your posture and engage your core. Whether you’re a serious gym goer just looking to burn more or jump-starting a new health routine, Cubii will help you achieve your health goals. 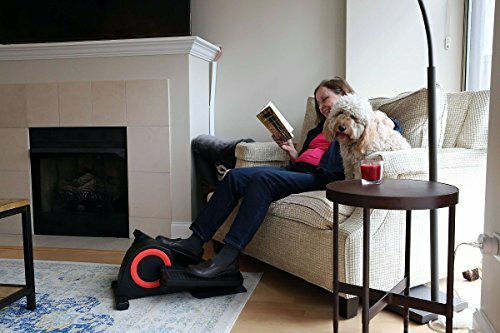 In addition to the physical health benefits, the continuous elliptical motion that Cubii offers improves productivity, helps reduce stress and makes you feel more active. *verified customer reviews below report some weight loss and improved muscle tone. 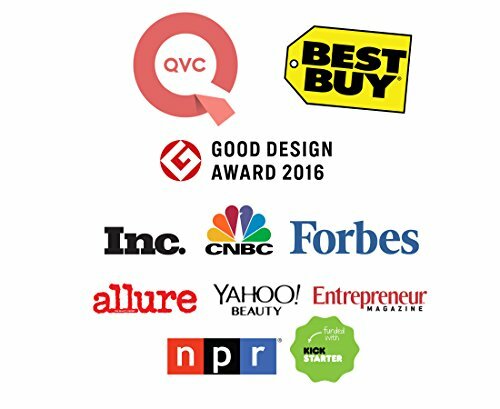 - Proud Winner of the 2016 Good Design Award Our mantra is good design. We did not want to design a poor quality product that looks clunky sitting in your space. Hence, we designed a compact and beautiful product that fits with the interiors of your space. For us, it's not just about a good product, but the entire experience that helps motivate you to stay active. - We offer customer friendly support with 30 day money back guarantee. 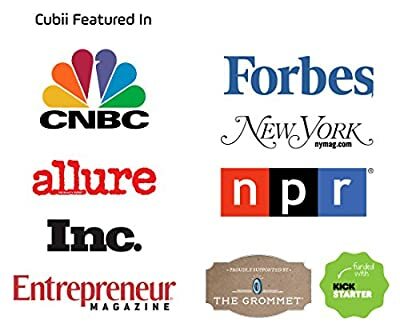 For any questions, concerns and guidance on how to set your Cubii up properly, please first visit our support center at https://mycubii.com/support/ or write us at info@mycubii.com prior to contacting Amazon’s customer service.